Katherine Furnish has been appointed to the Physical Therapy board by the American Health Council in recognition of her work in the industry since 1999. When Ms. Furnish completed her Spanish undergraduate course in 1989 from Grinnell College, she found her first job less than interesting. She had a natural desire to follow a profession that had lifelong learning and benefits to others. Ms. Furnish also had a passion for sports and wanted to engage in a role that offered movement and challenge, fueled by her enthusiasm for how the body develops, functions and heals. After realizing that she found much fulfilment in helping others enjoy their own movement in everyday activities, Ms. Furnish knew that physical therapy would be the perfect career for her to pursue. Following this revelation, Ms. Furnish subsequently completed a MS-PT in Physical Therapy, from Northern Arizona University in 1999. Ms. Furnish has been in the healthcare industry since 1999 and in her current position for the last 2 years. She currently works at Angels Care Home Health, AngMar Companies & The Sanctuary Physical Therapy, LLC. Angels Care Home Health, AngMar Companies is a home health organization providing fantastic care services by offering caring, compassionate and cost-effective assistance for each patient’s unique needs. It is a Medicare-certified home health agency that is a family company. AngMar manages a vast number of agencies with locations in eight states including Florida, Arizona, Iowa, Kansas, Nebraska, Ohio, Oklahoma and Texas. The Angel Care Home offers skilled nursing care, restorative therapy and medical social services to patients in their homes or wherever they may live, including assisted living facilities and retirement communities. Ms. Furnish’s second job at The Sanctuary Physical Therapy helps people heal from trauma and injury, recover lost movement, maximize function and live a pain-free active lifestyle. 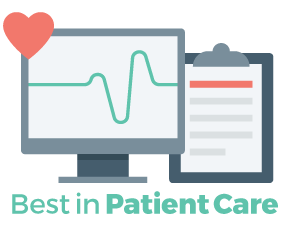 Again, this offers services that are customized and unique to each patient. Therapy is all personalized and focused on patient needs with hands on myofascial release and exercise prescription. Services include 60-minute Introductory sessions, 90-minute evaluation and treatment sessions, 60-120 minute treatment sessions, and treatment plans customized for each patient. As a child, Ms. Furnish was gifted in being very active. This resulted in her being coached at an athletic level. She was also interested in how people heal. These two areas in her life are what Ms. Furnish attributes much of her success to and she has always enjoyed exploring the possibilities and functions of body, mind, and spirit. She learned much from the peers, coaches, teachers, and therapists who were both valued mentors and respected colleagues and greatly expanded her knowledge and understanding of the body. She attributes her achievements in her practice of Physical Therapy to all of these people, to her love of the profession, and to the patients she has the privilege to treat each day. On a day to day basis, Ms. Furnish does a considerable amount of different tasks. Her expertise is in Myofascial Release which is a safe and very effective, hands on technique which gently applies pressure into the Myofascial connective tissue allowing release, healing, and restoration of movement. During the week, she travels to patient homes where visits include vitals, problem solving, personalized treatment plans, determining functional needs and creating solutions to achieve patient goals. As well as physically helping her patients, Ms. Furnish also teaches her patients about the healing process, balance, safety and ways they can help themselves achieve their goals. 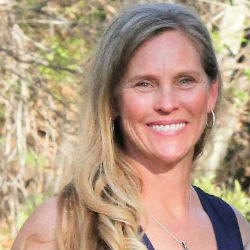 Her treatment includes manual therapy, movement and exercise, education, and connecting with her patients. Ms. Furnish has recently expanded her practice to include treating horses and in the next five years plans to develop her private practice, The Sanctuary Physical Therapy, and grow a team of support. In her spare time, Ms. Furnish enjoys spending time with her family, hiking, exercising and socializing with her close friends. She also volunteers in school and church. The Sanctuary Physical Therapy is commited to your vitality and physical well-being. Focus on myofascial release therapy to help you heal from injury and trauma, be at ease within your body, move freely without pain, and participate in the activities you choose and enjoy. Experience pain relief, improved motion, increased strength and stamina.